So, I decided to include an Archive on here explicitly for things relating to Star Wars. This will also probably include a number of other fandoms as well, but that is cause I like my crossovers. This is especially true for Harry Potter as that is my primary fandom. - Mister B's Rules Supplements, which includes a conversion for the information on Classic Marvel Forever, or at least it does if you are smart about using it. - Lightsaber Forms will usually be handled as a non-Dynamic Array, as I don't think that the Jedi are able to mix and match the qualities of one form with the next unless they are specifically known for doing such a thing. - Due to how expensive and massive Capital Ships tend to be, there is simply no point in adding them to an individual character's stat block. Instead they will be handled using similar rules to Haunted Houses in the Supernatural Handbook, and be treated as Mobile Constructs. -- Most Jedi and Sith are going to focus on their Active Defenses rather than their Toughness scores. -- Meanwhile, most Clones and other Soldier-types are going to go for an even mix of Active Defenses & Toughness. -- Those jobs that are more of a support role, such as Scoundrels, Senators, etc... can fall in either of the above two categories. -- Under no circumstances will a character have a higher Toughness than their Active Defenses though... unless they are a Droid. -- Species Notes: Rather than have a half dozen skills representing the sorts of things someone like Oola might have known, I instead boiled it down to a single skill known as "Expertise: Entertain" which is a Presence-based Expertise. Also, instead of making the Allure be an actual form of magic, I decided it will be handled as a type of pheromones in this setting, which is how most races like the Zeltron and the Falleen tend to handle it, and those seem to be the main counterparts to Veela in Star Wars. Though in some cases the Feature will be replaced by an overt power, depending on how active the character is in using the power to their advantage. Last edited by DalkonCledwin on Thu Apr 04, 2019 10:58 am, edited 6 times in total. Last edited by DalkonCledwin on Fri Apr 19, 2019 12:40 am, edited 16 times in total. Last edited by DalkonCledwin on Thu Apr 18, 2019 10:45 pm, edited 1 time in total. Premise: What if there was a third side in the Clone Wars? One led by someone most thought to be long since dead. Someone who belongs to neither the Jedi or the Sith, but rather to the Force as a comprehensive whole. This is that story, for this is the day that Revan Returns! - Revan must be powerful, but not godlike. - Revan must be a gray-sided force user, and uses the Code of the Gray Jedi. - Revan must have been reincarnated no more than 15-20 years prior to the Phantom Menace. 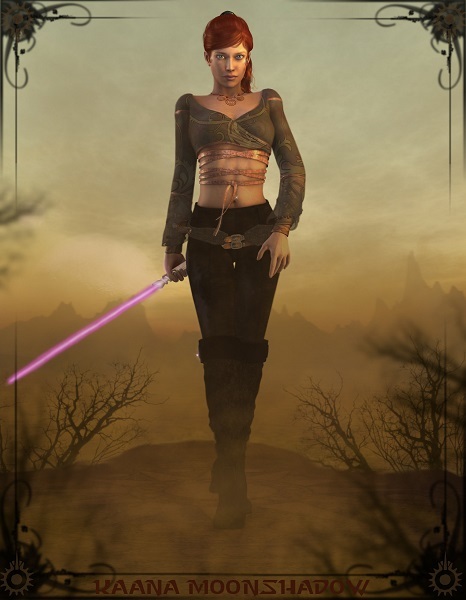 - Revan’s gender can be determined by the writer, for what else would be acceptable given that such was allowed in the original Knights of the Old Republic games. 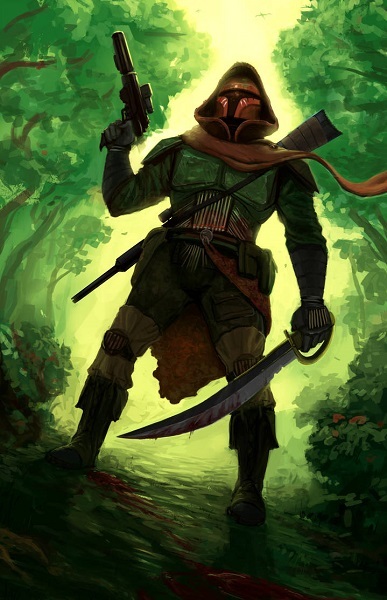 - The events of the Star Wars timeline must be altered to account for Revan’s reincarnation. - Revan must be the one who was truly chosen by the Force Prophecy. - Revan must not interfere in the events of the Star Wars universe again until Phantom Menace at the absolute earliest. - The Star Forge must have survived, or else have been rebuilt, and serves as Revan’s base. - Revan’s Lightsaber can’t be the typical Sith red. - Revan must have an apprentice. - Revan must prevent the massacre of the younglings at the temple. - A majority of people must still believe that Anakin is the true chosen one. - Suggestions for Revan’s apprentice: Reincarnated versions of Bastila Shan or Satele Shan; Aayla Secura, Serra Keto, Siri Tachi, Ahsoka Tano, Anakin Skywalker, OFC, OMC. - Suggestions for Revan’s pairing if male: Bastila Shan (must have been a past love at least), Aayla Secura, Aurra Sing, Asajj Ventress, Serra Keto, Siri Tachi, Riyo Chuchi, OFC. - Suggestions for Revan’s pairing if female: Anakin Skywalker, Obi Wan Kenobi, Mace Windu (Um… not likely), Jango Fett, a reincarnated Canderous Ordo… or one of the options presented for the male Revan. - Bashing of Anakin Skywalker if he isn’t actively being paired with Revan or Revan’s apprentice. - Revan allying him/herself with the Jedi Order. - Revan locating HK-47 and giving him the “You’ve been a very bad, bad boy. I’m so very disappointed in you!” speech after the Assassin Droid starts helping the Separatists. - If Revan is a male, then no pairing Revan with another male. - Revan the Emo Doormat. - Destiny: Despite what others may believe on the matter, it was actually Revanche who was the one foretold in the Force Prophecy who has the ability to bring balance to the Force. This is on account of her having personal insight into what it would take in order to reach balance with both the Light and the Dark side of the Force due to having lived that life before. - Enemy: Though Revanche isn't aware of it just yet, her presence within the Force has been felt by each and every Dark Sider in the Galaxy, and thus she is a known threat to their own power. This naturally places her in very real danger, as the Sith will easily be able to identify her when they locate her. - Honor: While Revanche's entire list of default abilities would lead one to believe she is exclusively a Light Sider like the Jedi Order, in reality she can use both more or less equally, it's just that she tries not to draw on the Dark Side of the Force too frequently for the simple reason that she just doesn't like the 'aftertaste' of that particular set of powers. However, she will use her LIght Side powers in ways the Jedi wouldn't dare use them for simply by virtue of not being under their supervision, it's why she has access to the Light Sided version of Force Lightning, when most of the Order refuses to use such an attack on principle. - Motivation: Doing Good: Revanche does what she can to alleviate the suffering caused by the wars that have long been being waged between the Light and the Dark side of the Force. - Rivalry: With Anakin Skywalker over the title of "Chosen One." Build Comments: The actual name of Revanche's starship has yet to be determined, and the same is true for the actual make and model of the ship itself. What is known, is that this is actually about the same size as the Millennium Falcon, as well as most passenger & bounty hunter ships. A starfighter would be one size category smaller, while Colossal sized ships tend to belong to royalty and diplomats. Awesome sized ships are your Capital ships, though smaller Capital ships can be Colossal as well. Jedi Class: The way I envision Revanche is as more of a Consular than as a Knight. Which is why she lacks things such as Force Jump and Force Dash. It's also why she has a Force Talisman rather than outright wearing armor. - Force Bond: Aayla shares a "Force Bond" with her Jedi Master, one Quinlan Vos. This operates in a similar manner to how a Psychic Rapport would in other franchisees, except it has a major drawback, it allows for Dark Side corruption to pass from one member of the bond to the next if they aren't particularly vigilant against such things, which makes it more of a complication than it would otherwise have been. It is an even bigger complication since these bonds are virtually impossible to break and in some cases will "Twin" the lives of those who bear them, so that when one dies, the other also dies. 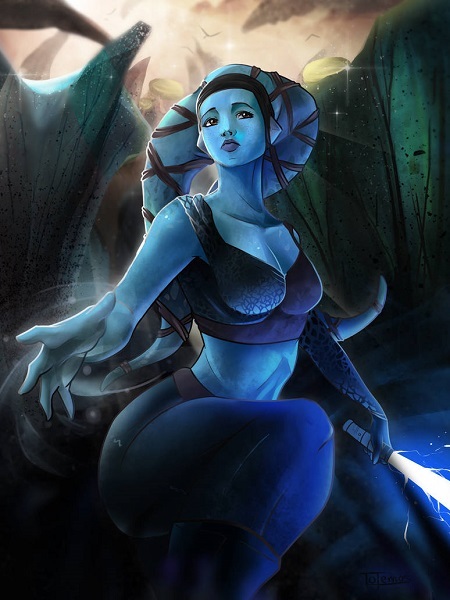 - Honor: Aayla tries very hard to follow the Jedi Code and all the principles and teachings thereof. Sometimes she is successful, other times she is a bit less fortunate. - Motivation: Responsibility: Aayla has been inspired to live by the examples set forth by countless Jedi who came before her. She truly believes it is within the Order's capability to make the Galaxy a better place for everyone. - Quirk I: Despite her tendency to follow the Jedi Order's teachings to the best of her ability, Aayla can never completely ignore her more impulsive and mischievous natures. This is probably what caused Revanche to identify her as a more grown up version of Mission Vao. - Quirk II: Aayla's preferred pajamas are most unbecoming of a Jedi, no matter what their rank happens to be within the order! Her standard day clothes aren't a whole lot better as far as some of the more conservative members of the Order are concerned. 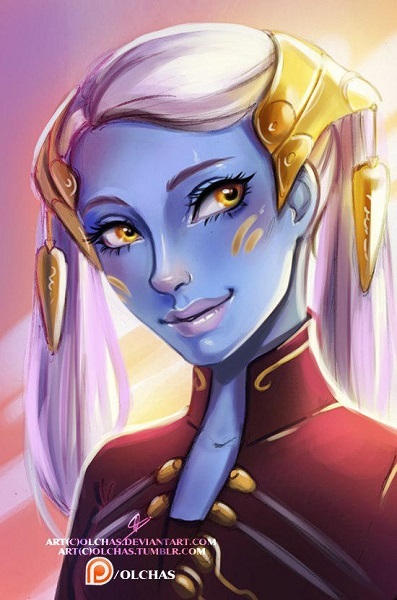 - Fame: Fay is sometimes called "The Angel of the Outer Rim", because more often than not that is where you will find her, though she also frequents the Unknown Territories. She is known for helping those most in need of the assistance of a Jedi in regions where the Council rarely ever sends anyone due to the general hostility the Jedi tend to receive from organizations such as the Hutt Cartel and Chiss Ascendency. This makes her very popular with the common everyday citizens of those regions, and her refusal to carry a Lightsaber has won her support among the governments in those regions due to it being seen as an open declaration of non-interference in the local politics. Unfortunately, these same qualities have lost her a lot of support back in the Core Worlds, save for on the Jedi High Council. 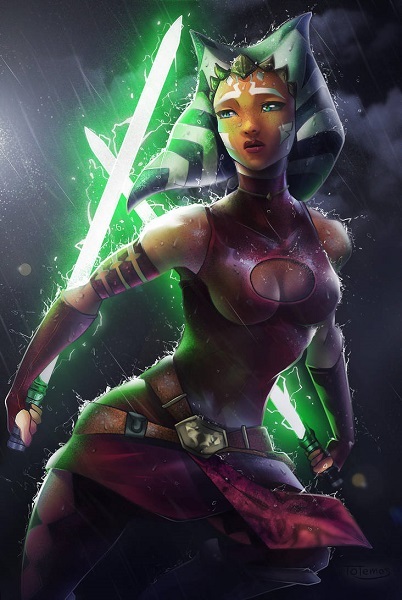 - Honor: Not only does Fay religiously adhere to the Jedi Code, she also absolutely refuses to use any form weaponry. She qualifies that as being objects which were crafted by sentient beings with the sole purpose of enabling them to harm other sentient beings. This means she doesn't ignore improvised weapons, but lacks any real proficiency with such, outside of what is possible with her Force Powers. - Motivation: Doing Good: Fay's driving goal in life is to provide aid where it is most desperately needed, the worlds that the Galactic Senate and Jedi Council either can't reach due to lack of reliable hyperspace lanes, or where they are generally unwelcome. 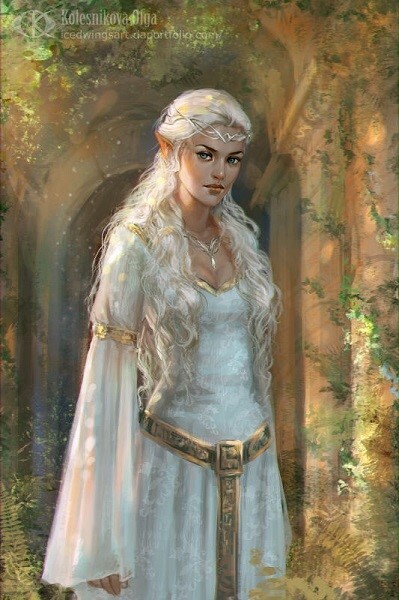 - Relationship: In a lot of ways, one could say that Fay is Revanche's Jedi Master, but this is merely because Fay was the first member of the Order to encounter Revanche, and is certainly the one who has the most familiarity with the girl. If Fay were to be asked for her opinion, she would immediately tell the High Council that assigning her an official Master would be an incredibly foolish idea. Diggin' the Star Wars stuff, Dalkon. I like the higher PLs. - Harry must be adopted by Duchess Satine Kryze. - Whatever else is said about her, Satine must still follow a version of the Resol’nare, even if it is a very heavily stripped down version thereof. - When the time comes, Harry must be old enough to participate in the Clone Wars. - Harry must disagree with his mother’s stance on total neutrality, and have left/runaway in order to join the fighting during the Clone Wars (his actual reasons are up to the author). - Satine must wrongfully be informed of her adoptive son’s death at some point. - Harry’s presence being what ultimately save’s Satine from death. - Harry being paired with either Ahsoka Tano, Riyo Chuchi, or an unspecified female Jedi. - Harry’s having been summoned back to Earth to deal with Voldemort being the situation where he allegedly died and which his adoptive mother was informed of. - Harry somehow being trained to use the Force and/or a Lightsaber. - Harry romantically paired with another male. - Destiny: Destruction: Fate has decried that it is Harry's destiny to destroy the Dark Lord calling himself "Voldemort" and nothing Harry says or does about the matter will change this fact. - Enemy: Due to the fact that Harry is the Prince of New Mandalore, it can be said that the members of Death Watch would be very interested in capturing him. The only reason they haven't managed to do that just yet, is because Harry's aunt is helping him to stay off their radar. - Honor: "Education and armor, self-defense, our tribe, our language and our leader — All help us survive." ~~ Translation of the Resol'nare Rhyme from Mando'a into the High Galactic alphabet, but using Galactic Basic words. As of 22 BBY, this rhyme has seemingly been unaltered for around 3,600 years. - Motivation: Patriotism: In his own way, Harry wants what his mother wants, which is peace and stability for Mandalore. The major disagreement they are having is because Harry realizes you can't achieve such lofty goals by abandoning everything that makes Mandalore... well, Mandalore! - Relationship: Harry is the adoptive son of Duchess Satine Kryze, which makes him the nephew of Lieutenant Bo-Katan Kryze. He is also the biological son of Lily and James Potter, as well as the godson of Sirius Black. Last edited by DalkonCledwin on Thu Apr 18, 2019 5:18 am, edited 1 time in total. - Destiny: Rescue: It is Ahsoka's current destiny to rescue Jabba the Hutt's son(? ), one Rotta the Hutt, from the clutches of the Separatists and return him(?) safely to his(?) father(?). - Enemy: As a Jedi, it can be said that the Sith are Ahsoka's eternal enemies. In addition to the Sith, she also has to worry about the Confederation of Independent Systems (otherwise known as the Separatists), who are waging war against the Republic. - Motivation: Doing Good: Ahsoka loves helping people, and always looks for the best opportunities with which to do just that, even if it might get her into trouble with her superiors, or more directly, with Skyguy. - Power Loss: Extremely loud sounds can temporarily disrupt Ahsoka's ability to use her Bio Sonar power. - Relationship: Ahsoka is the Padawan Learner of Anakin 'Skyguy' Skywalker. She is also a favored student of Plo Koon, with the two sharing a Force Bond, even if it is a minor one. Build Comments: When Jango Fett allowed himself to be cloned, there was no way he was giving those clones a full working dictionary of the Mandalorian language. As such, they got "Pidgin Mando'a" instead, this basically amounts to the sign language used by the clones and absolutely nothing else of any real worth. - Enemy: Riyo represents Pantora within the Galactic Senate. This carries with it the unfortunate problem of her being a very high profile target for the Confederation of Independent Systems, as well as the assorted garden variety scum and villainy when they get it into their heads that ransom demands are viable "get rich quick" schemes. - Honor: Riyo abhors the very act of killing another sentient being, and as such only ever uses nonlethal countermeasures when engaging in combat situations. This has led her to be even more annoyed with the fact that she was assigned a Mandalorian Warrior as a bodyguard, as Harry has no issues with killing someone to keep Riyo safe. - Motivation: Patriotism: Riyo is very proud to be both a Pantoran and a citizen of the Galactic Republic, and strives always to help make the Galaxy a better place, but only by following the laws of the very Republic she sits on the Senate of. - Prejudice: Riyo is merely 13 years old, meaning that even if she proposes a bill or amendment within the Senate that is actually a good idea, odds are someone else is going to jump in and claim all the credit for thinking of the idea in the first place. Worst of all, due to her lacking seniority, there is very little she can do to change this fact. - Riyo's Action Hero Nanny Droid: When she got promoted to the post of Senator, the last thing Riyo ever expected to have happen was for her to be assigned a bodyguard/chauffeur from Mandalore. Worst of all, is that her bodyguard really should have a bodyguard himself due to whose son he happens to be! Last edited by DalkonCledwin on Fri Apr 19, 2019 12:42 am, edited 1 time in total. So, it appears that Google+ has decided to shut down consumer (personal) brand accounts. For that reason, and so that I have access to all the stuff on Doug Rolnick's site, I will be porting it over to this site, with my own modifications where necessary. I will be trying to represent the stuff in a format that is more readable than what he has on his site though.